It happened in a moment. Just as you or I would do when seeing someone after a long separation, Nehemiah asked his visitors for news from home. And the answer changed his life. Tell me about the Jews who escaped and survived the captivity, and about Jerusalem. The news was devastating because it revealed the depth of the devastation of his people and the holy city. Nehemiah was in that place where he was so broken that he knew his only option was to rely on God for the answers. Jacob Armstrong says that it was a perfect example of how we must say no to the present reality so that we can move forward – only when we say no to the present reality are we ready for renovation. 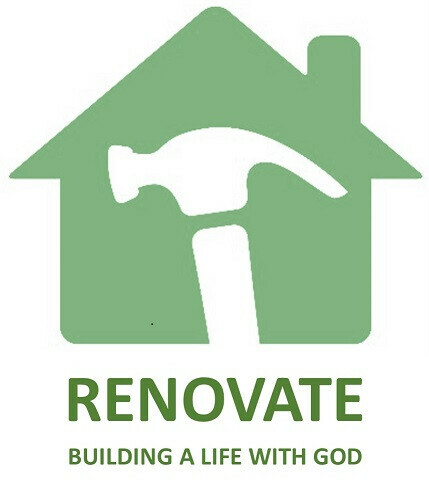 Only when we say no to the present reality can we say yes to renovation. It may sound crazy, but that kind of honesty, the you-can’t-hide-it-anymore kind of honesty, is precisely where God can make something beautiful. It’s in that place of honest brokenness that we remember and see the promises of God. Remind God? Hmmmm. Just who needs the reminding? When life is falling down around our ears, when our hearts are breaking, when we have made yet another mess of things or done something we swore we’d never do again, when the tears begin to fall, who is it that needs the reminding? I don’t know about you, but I certainly know about me. I need to be reminded of what God has promised. Forgiveness. Restoration. Grace. Mercy. Love. Healing. And then, as Armstrong points out, there is that promised that is repeated over and over and over again – Old Testament and New – you don’t have to be afraid. I am with you. I encourage you to read the whole of chapter 2 of the study book. Armstrong asks some great questions and tells some even better stories about how that deep renovation can begin. We could only hit a couple of the highlights today.